I am wondering how this impacts the Report ID. 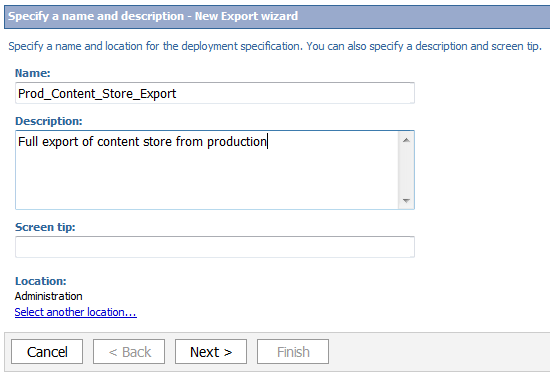 We are looking to move a specific folder of reports from dev to prod by using the content store export and import option. When we do this we need to keep the same report ID's because of a third party tool that is linked to the report by the ID. When I tested one export and import of a folder all the report ID's changed. I am using 8.4.1 and do not see an option to keep the same Id when I do the import. Any suggestions on how to do this would be greatly appreciated. AFAIK, retaining the report IDs is possible only when the entire content store is deployed. I am not sure. I have never used developer editions before. Is it possible to deploy report in Cognos like in SSRS how we do. Thank you for sharing such a good information.. In our current Cognos environment, for Content Store backups using the "Export" method, mutliple zip files aree created in the deployment folder of the Primary server. I am not sure, in an event, whereby a restoration is required, whether all the zip files exported will have to be imported to the Cognos content store one by one? Hi KP, You have to copy all the zip files to the deployment folder and you will be able to restore it in one go. Are you aware of anyway to recover a lost deployment password? A client inherited a new environment and doesn't know what the password was set as. 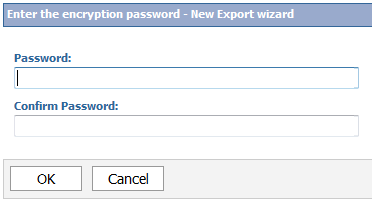 Deployments are encrypted using the password. Unfortunately there's no way to recover this if lost. We are a consulting firm. We have TM1, FM, BI - Report Studio, installed (10.2.1) and configured. We have written a Report Studio report. Now we need to provide the report to our Customer. Our Customer has their own TM1, FM and BI installation. They will not be making any changes to anything (Dimensions, Cubes or the Report). We have a common connection to the data that will populate the Dimensions and the Cubes. However, they will be the ones refreshing the TM1 Dimension and Cube data not us. Our security setting etc. will be different, so I don't think deploying the Content Store will work in this case. Work with them to set up the same TM1 processes that I have that will create the dimensions and cube (there is just 1) and then load the data into them. They would have their own Framework Manager. We would publish the report Package to Report Studio and then deploy the report to them. They would import the deployed report. I do not see any reason to sync the two environments or replicate the cube. Even if we did replicate the cube, they would need the TI processes anyway to refresh the data, since we will not be doing that here. Please let me know if you can see any reason why this wouldn't work for us.